I have seen in some people an obsession of looking for happiness in love. For me most of happiness is not found in love, especially in romantic love. Happiness is found in everyday things, sunshine, family, a flower garden, laughing at a joke, a good time with friends, a lunch with family, a neat array of house furniture, and especially in progress in a particular aim. 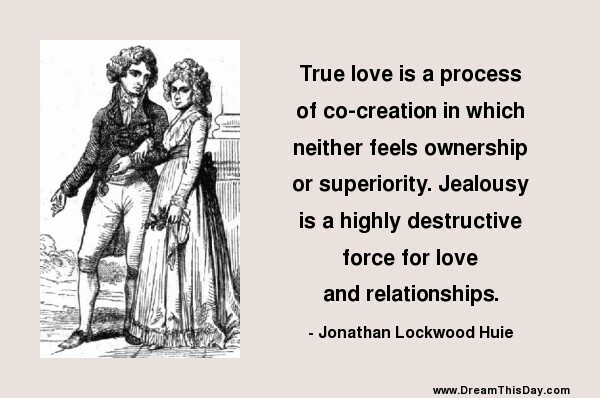 Only if we heed these things can we live true happy lives and never to seek or be obsessed and possessive over romantic love.